Is Purple Shampoo Safe For Color Treated Hair? 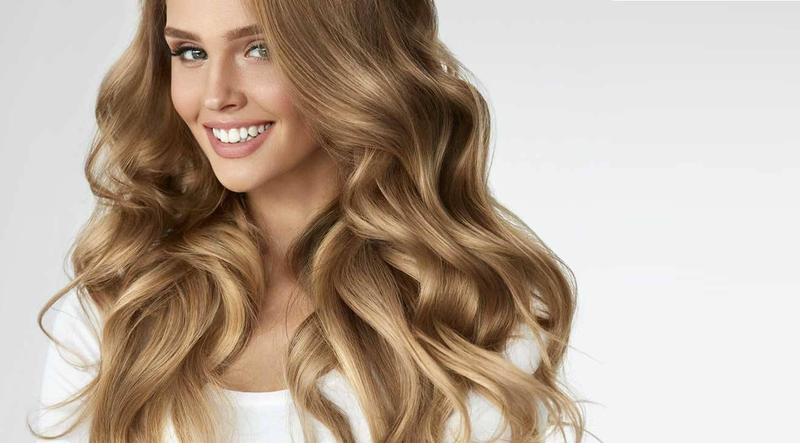 The appearance of brassy tones in hair does not affect anyone and everyone with blonde hair. Nevertheless, it does affect a significant percentage of those with blonde hair. Now, because this is also an issue of genetic predisposition, hair care products, and personal grooming habits, there is no blanket statement I could make. Too many variables. Still, if you see that your hair might be in need of some infusion of ‘blondeness’, if you will, then look no further than purple shampoo. Achieving that blonde look you’re after depends on balance. The blonde spectrum can go from brassy to ashy, and you probably want to be somewhere in between. Hair stylists and hair dye manufacturers are essentially aiming at this sweet spot, which is a moving target since it varies from one individual to the next. They utilize the palate of colors to create specific types of blonde colors. Even the best and most professional dye job will fade or lose some color over time. It is the nature of external dye jobs. You can’t change the pigment of your hair from the inside. The change in pigmentation takes place on the outside. This is why factors such as time, hair care routine, and exposure to sea and direct sunlight may have an effect on your hair. When the dye begins to lose its grip on your hair, its color begins to fade. One of the best ways to combat this is by using a purple (aka violet) shampoo. Because violet and yellow are on opposite sides of the color wheel, the purple color in the shampoo manages to provide balance and accentuate the blonde pigments. Think of it as giving your dye job a quick and easy reboot. Just like not everyone suffers from overly-yellow tones, not everyone reacts the same way to these types of shampoo. As previously mentioned, genetics, diet, and environment all play a part, and it may take more (or less!) than a purple shampoo to help your hair regain proper balance. What works splendidly for one head of hair could potentially have little to no effect on another. Still, if it works for you, it’s an easy and inexpensive way to get your hair looking like you just walked out of the salon. When you notice warmer tones beginning to creep up into your hair, you may want to start using purple shampoo. This is not an ordinary shampoo, and it should not be treated as one. It is certainly not a shampoo meant for daily use. In fact, those who use it on a daily basis may find that the purple dye is beginning to affect their original hair color. 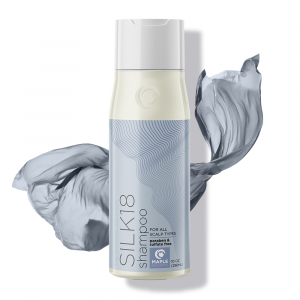 Even for those who have not dyed their hair, this kind of shampoo provides your naturally blonde locks with a boost of ‘blondeness’, which accentuates their natural yellows and balances out the harsher yellows. Use the shampoo as needed, but not more then once a week. Some even say that might be too much, and opt for once every two weeks. Experience, trial and error: these are the greatest (and sometimes harshest) teachers. What works for one person is not guaranteed to work for another, so use it sparingly to start with and increase as necessary. Purple shampoo for color treated hair. Generally speaking, yes. Purple shampoo is indeed safe for those who have used color treatment on their hair. But because not all shampoos are created equally, you should definitely look at the label, do some research, and take your personal history into account. The purple shampoo will not affect other colors in your hair. It is designed to counter its opposite, which is yellow, and not to interact too noticeably with other colors. By the way, purple shampoo is also great for silver-dyed hair that is starting to fade and lose its colors. 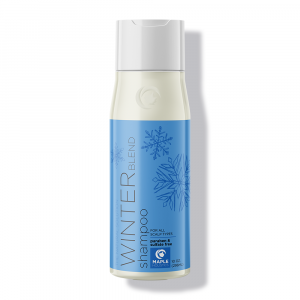 As with blonde dyes, this shampoo will bring the harsher tones under control. Don’t leave the shampoo in for too long, since it is a dye, after all. Leave it in as directed, then rinse it out. You shouldn’t expect overnight results. Magic won’t happen, even the bottle says that it will. 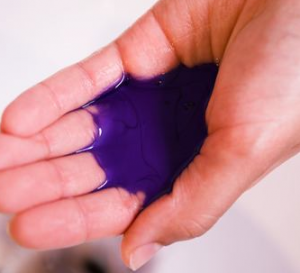 These types of one-size-fits-all purple shampoos are hit-and-miss. Some swear by them, others don’t. Either way, give a shampoo at least a few weeks to see what it’s about. Understand that this kind of shampoo is for in-between maintenance, and that it does not come instead of a professional or home dye job. These are ranked in no particular order. Again, different types of shampoos are good for different people. You need to see which kind of shampoo is right for you. 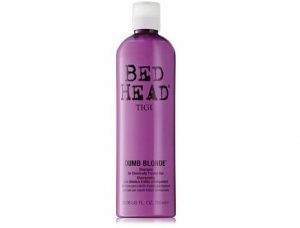 Bed head purple shampoo from Tigi. The first thing I noticed about this shampoo is that besides for the brass-reducing aspect, it also greatly reduces frizz. 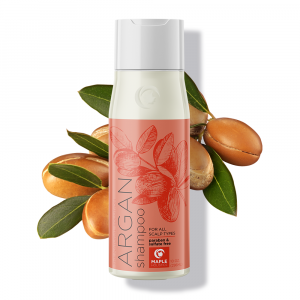 It has a lovely smell to it, it gets nice and lathery, and it’s geared towards those who have treated their hair chemically in the past. After a couple of weeks (two uses), I began to see the initial dye color make a renewed appearance. This shampoo managed to provide my hair with a nice-looking shine. Actually, it wasn’t unlike my ordinary shampoo that I use regularly. Because it is not an everyday-use shampoo, remember that a small bottle could potentially last a long time. Which is a good thing, since this Tigi product can be on the expensive side. 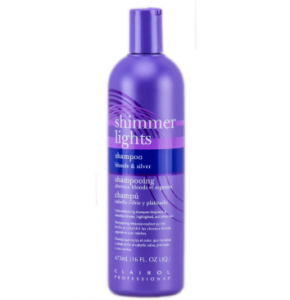 Clariol shimmer lights purple shampoo. This one is not just targeted at blondes, but at all people who are experiencing brassy tones in their hair. While these tones are generally most apparent in blonde hair, “loud” yellow tones can happen with almost any light hair color. The shampoo did its job well. There was nothing inherently wrong with it, but it seemed to vibe with my hair as well as many other shampoos I have tried. On the plus side, it did balance out my yellowish strands, and the price is competitive. I can see how this brand’s scent and consistency might be right for some, but I simply enjoyed it less. One more thing: this shampoo had more artificial ingredients than I would normally care to use. However, because it is a purple shampoo – not designed for everyday use – I was willing to let it slide. By the way, this is true to all of the shampoos on this list, to some degree. They all contain some amount of substances which I wouldn’t necessarily want to use on a regular basis. For occasional use, I don’t mind too much. The rest of the time, I will use a more natural choice, but for once-a-week maintenance I have no qualms about using more “industrial” products. They do have their advantages! Joico color balance purple shampoo. 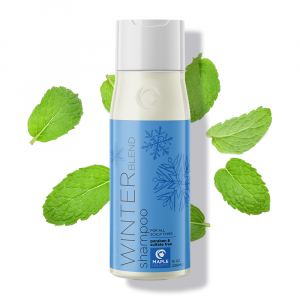 I loved this shampoo, but before I rave about it, I will say that there was a minor issue with it having a kind of drying effect on my scalp. I mitigated this with the help of some moisturizer, and now all is well. Why did I love it? First, I saw an immediate reaction from my hair. I guess they are in the same place, since results were making themselves present after only one washing. Second, it didn’t lather as much, which I consider to be a positive thing. It usually means the manufacturer hasn’t bombarded the formula with lathering agents. I used it twice, once a week each time. By the time the third washing was about to happen, I already began to notice significant improvements to the volume and shine of my hair. I was using my ordinary shampoo during the rest of the week, so I attributed the new “wow” factor to Joico. After a few weeks, I started noticing a nice difference. It just goes to show that when the shampoo fits, you don’t even need to use it every day for results to set in. Of course, this also depends on other variables. If this was a day-to-day kind of hair treatment, I wouldn’t continue using it. I wouldn’t want to fight an ongoing battle with dryness. But because purple shampoo is only used for maintenance, the dryness wasn’t really a significant con for me. I would rather have my beautiful coloring, and use a bit more moisture. This product also dried my scalp out a little, but again, it didn’t bother me too much. I personally didn’t love the scent, but I can see how some would find it very appealing. Applying conditioner or some other kind of moisturizer after the washing will be able to mitigate any dryness issues. Of course, if you find it takes up too much of your time, it’s probably best to move on to another brand. 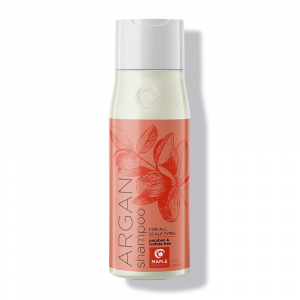 This shampoo has a few advantages over the ones I mentioned before. Firstly, it’s more natural (not ALL natural, but more so than others). 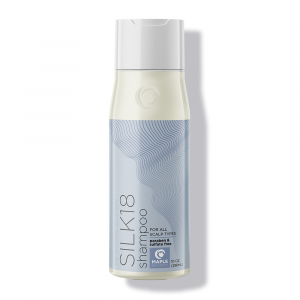 It goes on easily and rinses off just as easily, it helps to clean the scalp and hair, and it does a good job at de-brassing the hair. It is not the best shampoo, in my opinion, but you might disagree. Lush has products which can be more expensive, and this shampoo is indeed one of the more expensive purple shampoos available. Price is a factor, and a big one at that. Is it worth the money? It wasn’t for me. I like some things about it, but there is not enough there to outweigh the negatives. A relatively new arrival in my shower, and I am so very glad that it showed up. 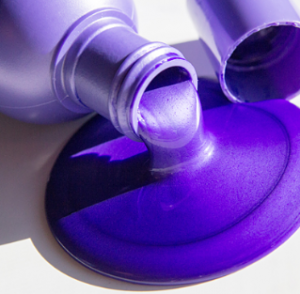 Fanola No Yellow is a great example of violet shampoo. It’s well-priced, effective, and it basically does its job without any bells and whistles. Like others on this list, I found that it did dry my hair out a bit. And like others on this list, it can and will stain everything that it touches. Wear gloves, mind the squirt factor, and use conservatively. If you use it as intended, I think you’ll find it a welcome addition to your hair care collection. So, to sum up, purple shampoo is a great way to maintain your hair between coloring and prevent unwanted tones of loud brass. If you are ready to commit to it, and not just use it once expecting great results, then this is definitely a product any blonde or cool-colored person can enjoy.